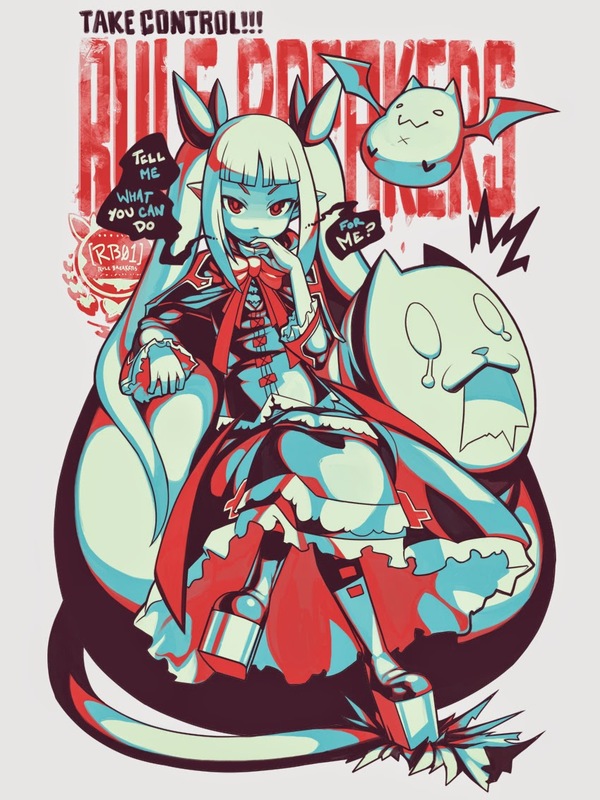 JRPG Jungle: Awesome Blazblue T-Shirts! If you've ever wanted a T-shirt with Rachel, Taokaka, Jin, Makoto or the NOL symbol to show off your Blazblue pride, you're now in luck! Eighty Sixed Clothing has put up five different Blazblue T-Shirt designs at the extremely reasonable price of $19.95. Each come in many different colours and size small to 3XL. Get them here! My personal favourite is the NOL symbal. So subtle, yet so cool.